Ever thought of having a luxury bath on tub? 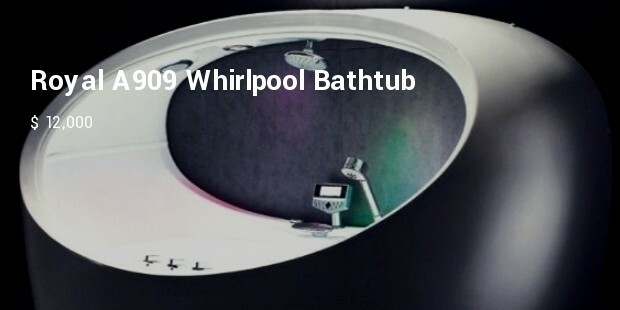 If you haven’t done yet, then why not shell some amount and attach the most expensive hot tub in your bathroom. 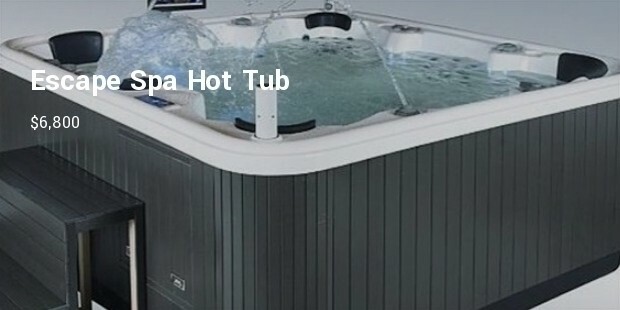 Hot baths are most popular ancient tradition, and today people, especially rich consider taking hot tub bath. There are different styles and sizes of bath tubs. You can select as per the amount you are ready to spend and choice you will go for. This elegant looking bath tub is the best choice to be considered. It has room for six people and around 50 jets to relax those muscles. You can have the chance to benefit from LED lighting and a couple of nice waterfalls to boot. 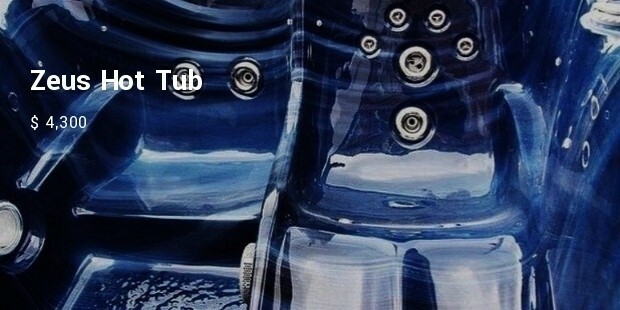 This hot tub is known as “Rolls-Royce” of the hot-tub sector. This hefty beast contains more than 1,500 litres. 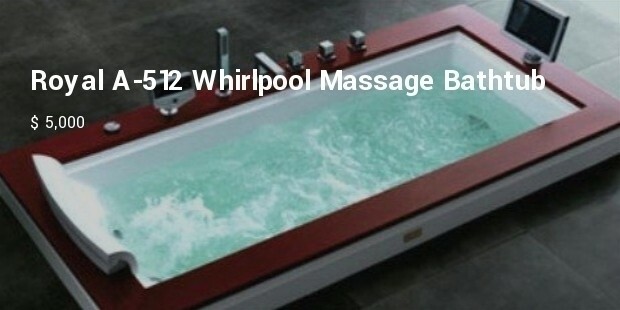 This is cost-effective and is ideal tub for home. This large hot tub comes with generous flat-screen TV as well as a private bar. At $26,000 it uses 10,000 litres of water and weighs in at a whopping 1,500 kg. 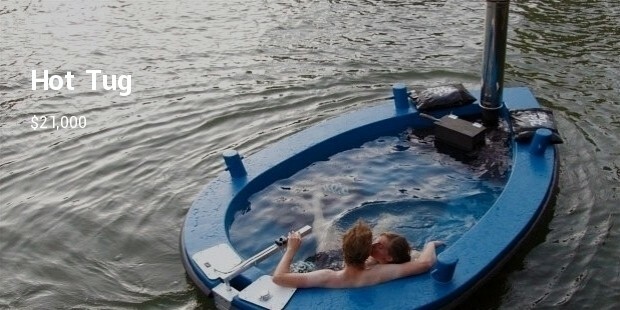 This hot tub is not only a wood encased tub but it doubles up as a tugboat as you have never seen it before. Designed by Dutchman Frank de Bruijn it features glass fiber and reinforced polyester. 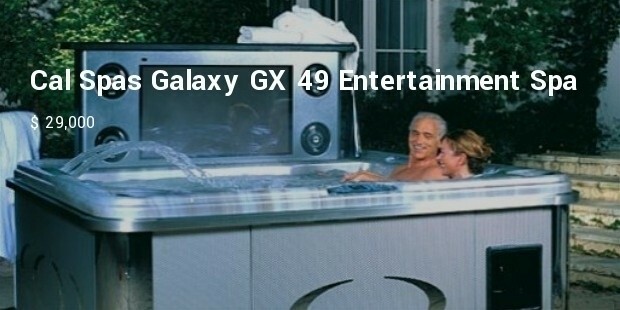 This sophisticated hot tub comes with wide range of gadgets and gizmos such as eight air jets an FM radio system and two personal speakers. 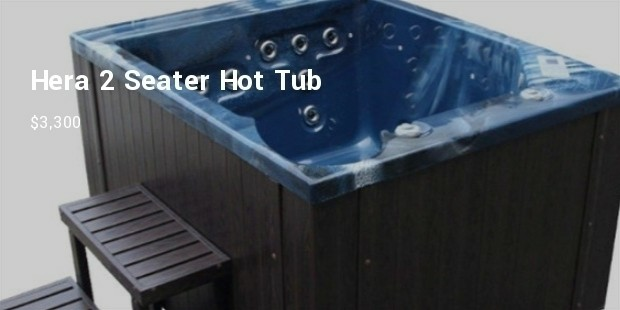 With the price tag of $4.300, this hot tub has high density foam insulation layer, keeping the warm area warmer. 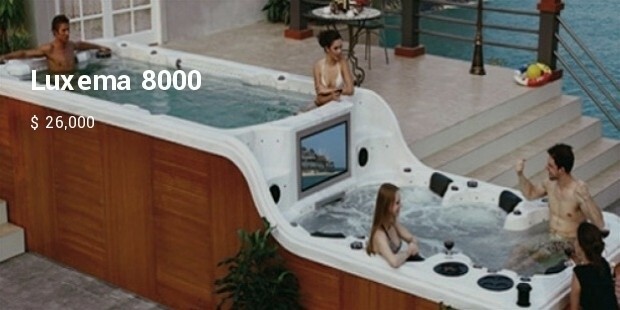 In addition to this, the tub comes with foot massage, neck massage bay and 17 hydrotherapy jets. Having a bath in any of the above expensive hot tub will be really a rich experience. If you are ready to fetch hefty amount then check out the above ones that suits your need.